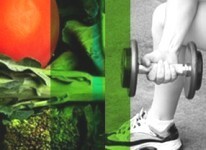 This Fitness And Health website provides access to articles on all aspects of fitness and health. Fitness is the ability to do physical activity were as Health is the amount of freedom from disease. Fit people are able to carry out physical activities more effectively than unfit people. Their pulse rate is likely to return to normal more quickly after exercise. Healthy people are free from disease and infection, but they may or may not be fit as well. It is possible to be fit but unhealthy, or healthy but unfit. There are different ways to measure fitness. There are primary and secondary components of fitness. • Cardiovascular efficiency or capcity. This is how well a person's circulatory system works. It is the ability of the body to take in oxygen (respiration), deliver it to the cells (circulation), and use it at the cellular level to create energy (bioenergetics) for physical work (activity). • Muscular capacity or staamina, the endurance or staying power. It refers to the spectrum of muscular capability. This includes muscular endurance, muscular strength and muscular power. • Flexibility is the range of movement or amount of motion that a joint is capable of performing. • Body composition is the proportion of fat-free mass (muscle, bone, blood, organs, and fluids) to fat mass (adipose tissue deposited under the skin and around organs). The secondary components of fitness are involved in all physical activity and are necessary for daily functioning. The secondary components include the following. • Balance is the ability to maintain a specific body position in either a stationary or dynamic (moving) situation. • Coordination is the ability to use all body parts together to produce smooth and fluid motion. • Agility is the ability to change direction quickly. • Reaction time is the time required to respond to a specific stimulus. • Speed is the ability to move rapidly. Speed is also known as velocity (rate of motion). • Power is the product of strength and speed. Power is also known as explosive strength. • Mental capability is the ability to concentrate during exercise to improve training effects as well as the ability to relax and enjoy the psychological benefits of activity (endorphins). There are always athletes who feel the need to use steroids while playing sports. While many organizations prohibit the usage, the doctors in the sports medicine field tend to be the real people who are fighting the effects of steroids on a daily basis. Some of the most prevalent symptoms that sports medicine doctors are forced to deal with include mood swings, violent behavior, depression, and psychoses. 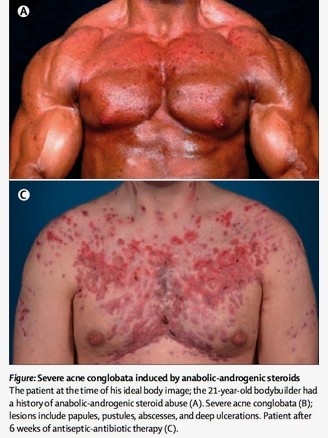 The good news is that all of these symptoms are reversible with treatment once the use of the steroids stops; however some other conditions are not as easily reversed. The use of steroids can alter numerous systems in the body, and how they react in terms of permanent or temporary is very important in terms of working to treat the effects. As the number of athletes guilty of using steroids is steadily decreasing there are fewer problems that doctors are trying to counter, however the use of steroids is still happening which causes the problems to still persist even if at a slower level. While sports medicine doctors do not typically treat reproductive issues, they are finding themselves engaged in more aspects as the use of steroids can hinder several components. For example, in men it can alter the libido, as well as cause male pattern baldness and even cause impaired spermatogenesis amongst the other problems that include testicular atrophy and gynecomastia. However, of all of the problems, only male pattern baldness is entirely non-reversible with treatment. However, there are times when even gynecomastia is unable to be successfully treated once steroid use has been discontinued. Women tend to have greater reproductive problems with the use of steroids with the risks causing problems with menstrual cycles, an altered libido, deepened voice, pattern baldness, and even clitoral enlargement. The good news is that the libido as well as menstrual cycle can be restored, while the other results of steroid use at this point are not a reversible complication. This means that each year, women who stop taking steroids are still left with the results to deal with, much more so than men are. Steroids also have the unfortunate problem of negatively affecting the cardiovascular system, which in athletes much be as healthy as possible in order to achieve the best results. With increased LDL cholesterol levels, reduced HDL cholesterol levels, as well as complications with hypertension, elevated triglycerides and even the potential of arteriosclerotic heart disease the use of steroids has several devastating effects on the athletes overall health. While there are rare and few doctors who will encourage the use of steroids, a well trained doctor will be able to identify signs that an athlete is using steroids and will do their best to help discourage their usage. While obviously the final choice on using steroids lies with the athlete, a good sports medicine doctor should be able to identify based on signs, which athletes are using. Because of the risks associated with the cardiovascular system as well as musculoskeletal system, using steroids can actually cause more harm to the body than it can provide in benefits. In addition to the complications associated with the cardiovascular system that were already discussed, it can create complications with tendon degeneration, which is potentially not reversible. This creates a huge problem with weakened tendons that are much more susceptible to injury even after steroid use has stopped. Overall, steroid use represents a huge problem to sports medicine doctors all around the world. Provided by the publishers of extenze reviews and provillus hair loss treatment. Visit our websites for more specialized health information and reviews. Milk is your calcium rich friend. For adults, 3 cups is the ideal goal. For kids 2 - 8, 2 cups is where you want to be. When choosing milk products or yogurt, you should go for fat-free or low-fat. Those of you who don't like milk or can't have it, should go for lactose free products or other sources of calcium such as fortified foods and beverages. 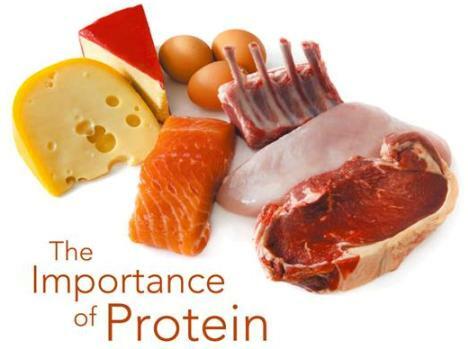 Eating 5 ounces a day is the ideal goal, as you should go lean with your protein. When eating meat, always bake it, grill it, or broil it, as this will prevent grease from adding to the equation. You should vary your protein as well, with more fish, beans, peas, and nuts. When cooking your food, you should also limit solid fats such as butter, margarine, shortening, and lard. These foods may add flavour to your dishes, although they can also help raise your cholesterol as well. Therefore, you should try to add these foods and any foods that happen to contain them. To help keep your saturated fat, trans fat, and sodium low, you can check the nutrition facts label. This label can be found on the food package and will tell you all the information you need to know about the food item. 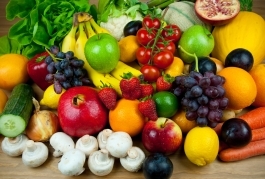 By picking your foods wisely and watching what you eat, you'll help control your lifestyle. Exercise is great as well, as it goes along perfect with a healthy eating lifestyle. No matter what your age may be, eating healthy will help you keep your active lifestyle for years and years - even help you and your health in the long run as well. 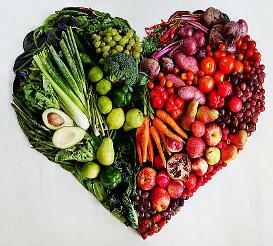 A key ingredients to improving your lifestyle and living a healthy life are antioxidants. There are several antioxidant supplements out there that can help you live a healthy life, that are natural and won’t cause you any damage. You can also eat different types of food that contain antioxidants as well, although supplements are the ideal way to get the right amounts of antioxidants. There are non synthetic supplements out there as well, that are ideal for keeping your health maintained. They can be easily absorbed by your body, unlike that of synthetic supplements. Synthetic supplements are well known for their absorbing, as it can take a long time before you see any type of results. Non synthetic on the other hand, gives you almost immediate results, as they are easily absorbed by the body and don’t have any type of side effects.